We had fun with this in class last week! WE are trying to identify the painter without using an APP! 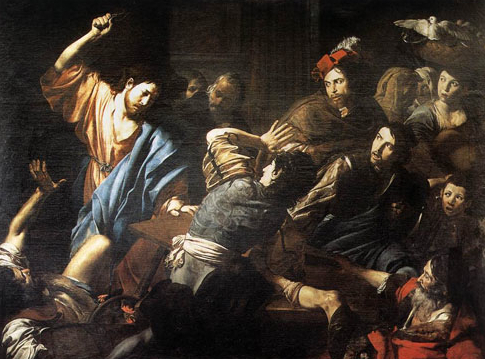 It is Valentin de Boulogne's "Christ Driving the Money Changers out of the Temple," circa 1618.